Associate Professor Elisabeth Elder is a senior breast surgeon and fellow of the Royal Australasian College of Surgeons with expertise in oncoplastic and reconstructive breast surgery. 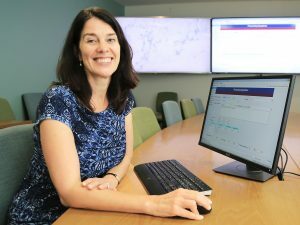 She is also Clinical Associate Professor at University of Sydney, Head of research and member of the executive committee at the Westmead Breast Cancer Institute (BCI). Associate Professor Elder graduated from the Karolinska Institute in Stockholm, Sweden in 1992, where she also completed her general surgical training together with a PhD in tumour biology in 2002. She specialised in breast cancer surgery and was awarded a Clinical and Research fellowship by the NSW Cancer Institute in 2008. Breast surgery clinical lead to the Australian Breast Device Registry. Associate Professor Elder is involved in numerous research projects and clinical trials as well as teaching of medical students and trainees and a frequent lecturer at national and international meetings. Her goal is to optimize not only the surgical, but also the cosmetic and psychological aspects of each patient’s care. Associate Professor also consults and operates at the Lakeside Specialist Breast Clinic located at the Hospital for Specialist Surgery (HSS) in Bella Vista.